Set against the green west hills of Portland, OR overlooking picturesque mountain vistas, we can’t wait to welcome you to your new home at Sofi at Cedar Mill. Our family-friendly community is situated just blocks from the Timberland Town Center where you can work your core in a class at Sunset Yoga and shop for locally grown vegetables at Market of Choice. Or perhaps you’d prefer to treat yourself to Kizuki Ramen on a rainy day or spend your afternoon at one of the five parks within two miles of our community. 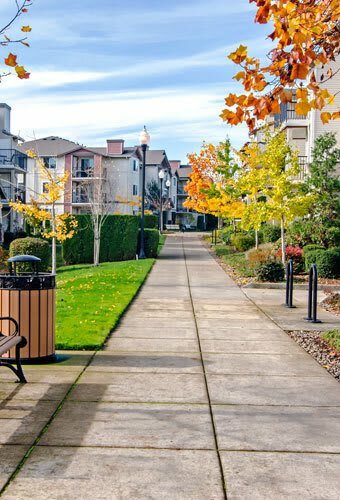 If you do need to leave the neighborhood, we boast easy access to Highway 26, Forest Park, Intel, Nike, Beaverton, and downtown Portland. Come see for yourself. Call or stop by Sofi at Cedar Mill today to tour our 1, 2 & 3 bedroom apartments for rent in Portland, Oregon today.